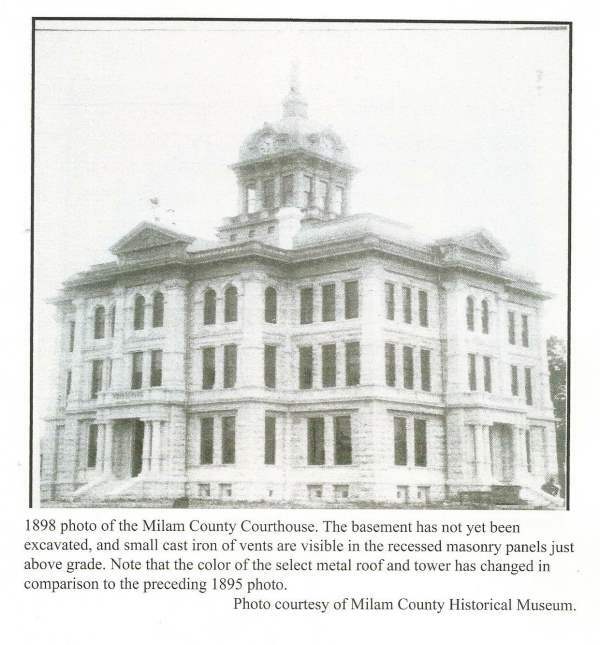 I'm looking for a picture of the Milam, Texas Courthouse from April 1920. This is for my family records. My grandparents were married there. 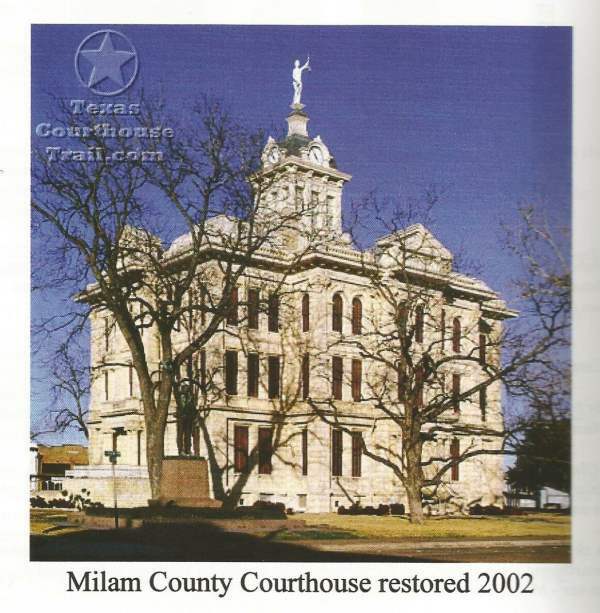 It appears online it might be the red courthouse that was once a jail but I'm not sure. me copy it on here. Standard reply to Ms Clark. Email forwarded to MCHC members and others interested in MC history. I would be happy to provide some photo's for you. 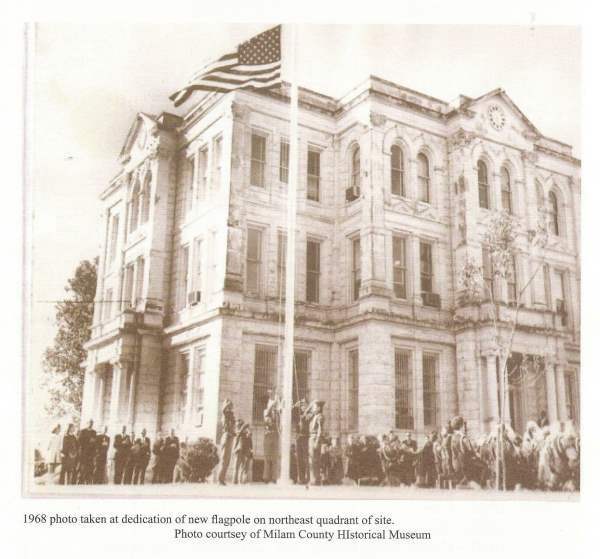 it is located in Sabine County. 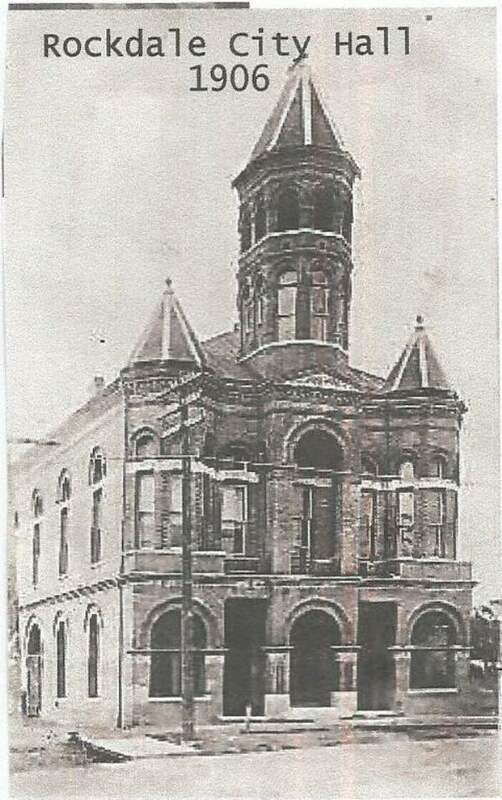 replaced by a new County jail in 1975. It is located in Cameron as well. The attachments # 1 thru 4 are from the above reference pages 2, 3, 5 and 133 consecutively. This building has been radically remodeled over the years, but here is what it looks like today. 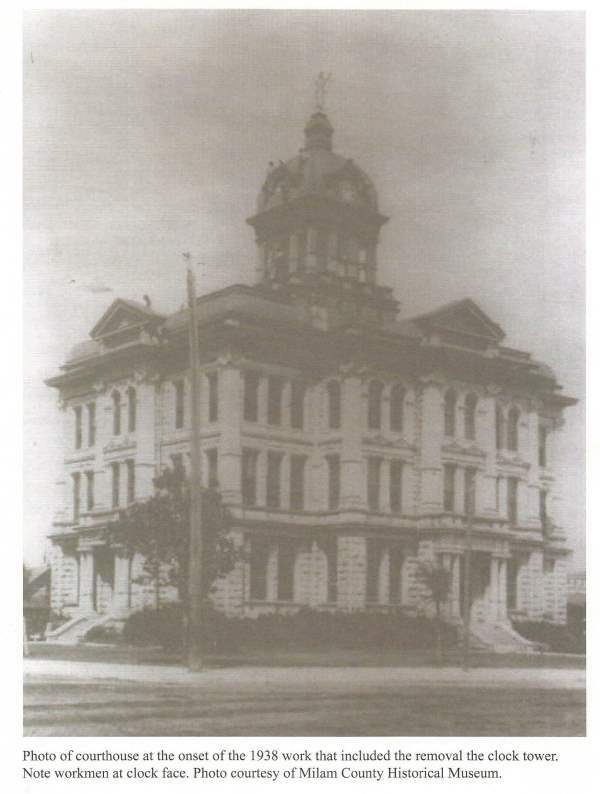 photo's of the police station. enough to let us know if we struck pay dirt for you?.